THE UNIVERSITY of Melbourne has been granted a licence to conduct field trials of wheat genetically modified (GM) for altered iron uptake, transport and bioavailability. Issued by the Australian Government’s Office of the Gene Technology Regulator (OGTR), the licence comes into effect immediately, and allows trials to take place between now and December 2023 at sites in the wheat belt in New South Wales, Victoria and Western Australia. The Risk Assessment and Risk Management Plan (RARMP) concluded that this field trial posed negligible risks to the health and safety of people and the environment, and did not require specific risk-treatment measures. “However, licence conditions have been imposed to limit the size, location and duration of the release and to restrict spread and persistence of the GMOs and their genetic material in the environment, as these were important considerations for risk assessment,” the OGTR notification stated. In the first year, the field trial can be conducted at up to two trial sites, with a maximum combined area of four hectares. In the following years, the field trial can be conducted at up to 10 trial sites per year, with a maximum combined area of 20ha per year. The GM wheat grown in the field trial will not be used in human food or animal feed. The GM wheat contains introduced genes derived from wheat, rice and other plants which have a role in increasing iron uptake from the soil to roots, enhancing iron transport from roots to the rest of the plant. They also contribute to increased iron storage-levels in grain, and improved iron bioavailability when grain is consumed. 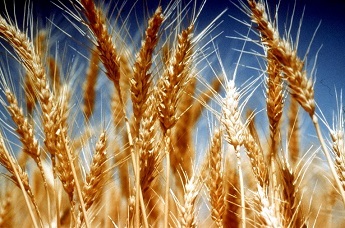 The overall goal of the University of Melbourne research is to produce GM wheat with high iron levels in its grain, and the aim of the field trial is to gather research and regulatory data under field conditions.